When I was little I used to watch all Cleopatra movies and I was fascinated by the glamorous world of the Ancient Egyptians. I was dreaming with my eyes open, with the mind of a chilld who thought everything is possible. That someday I will step on their steps, read their writings, discover their culture. 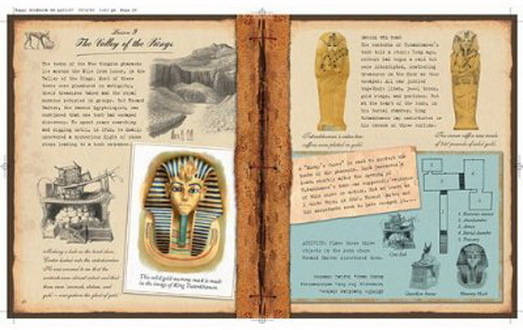 And it seems that even today I still keep the passion for Egyptology. 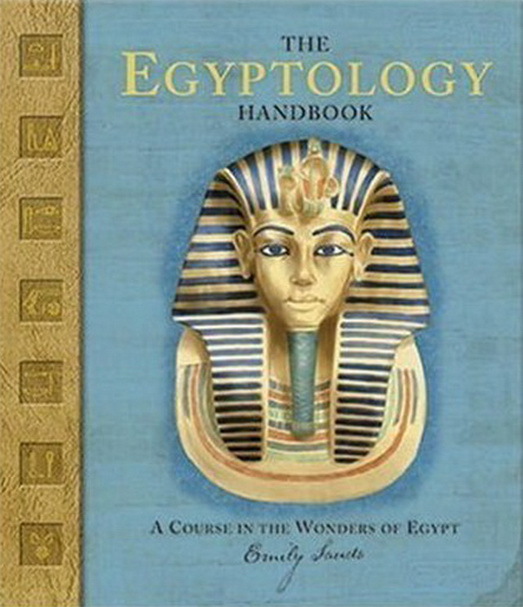 Egyptology course sounds too serious I would say. On the other side, it seems the book was written for 2 children. The truth lies somewhere in the middle. It has lots of cool pictures and activities, nice illustrations that can be enjoyed by nephews and grandparents at the same time. 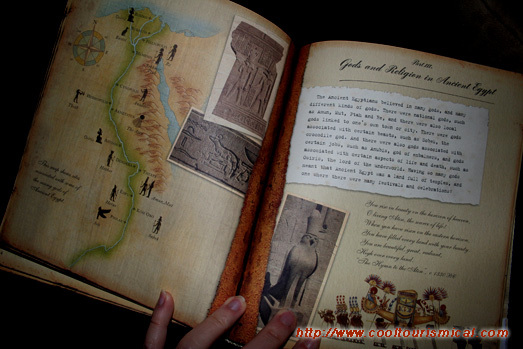 The book talks about the gods and other things connected to old religion like temples, festivals, the burial of a king, the afterlife and has flaps to untie and open which really gives a wonderful and amazing sense of discovery to the reader. 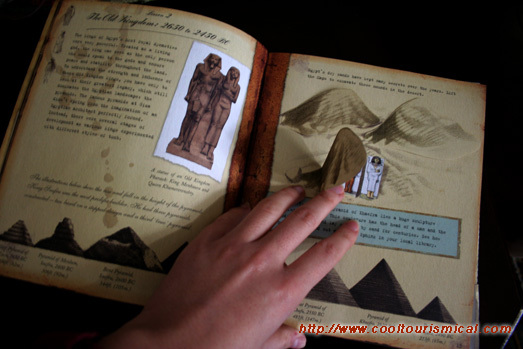 Easy and captivating lessons for anyone interested in history, archeology, travel journalism and of any age: subjects like writing the hieroglyphs explained, maps of cities and temples given, details of the process of mummification, clothing and food of an Ancien Egyptian described.